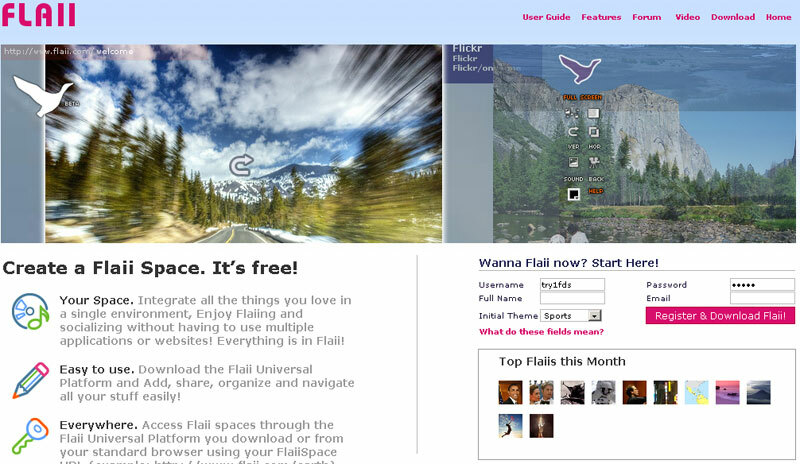 Flaii multidimensional interface / The easy way to navigate all your content. 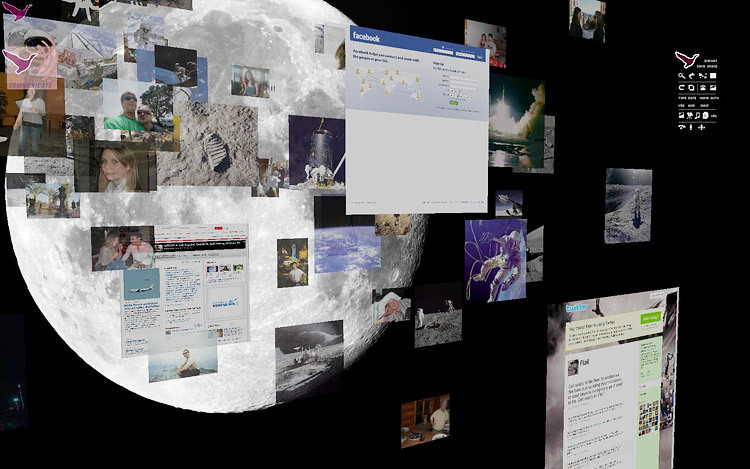 In 2001 Javier Ideami designed the concept of the Apiroteka (which later he named Flaii), an immersive environment where different types of information sources were integrated in a very intuitive and easy to use way. In 2006 and for the next two years Javier designed, developed and coded a long series of experiments and prototypes around that idea. Javier’s prototypes, which were fully functional, received a lot of attention and praise and investors in 3 different countries offered funds to continue developing Flaii. In 2008 Javier cofounded Flaii, the startup, in Silicon Valley, California. In these times of information overload, people need a way to access the things they love and work with from a single platform. Flaii provided a single interface with everything ready to use, without having to open and close multiple applications, web pages, documents etc. In 2010 Flaii changed focus to become a social gaming platform and at that point Javier Ideami moved on to other projects and ventures.